Apple today confirmed that it has addressed the recent "Meltdown" vulnerability in previously released iOS 11.2, macOS 10.13.2, and tvOS 11.2 updates, with additional fixes coming to Safari in the near future to defend against the "Spectre" vulnerability. Apple's statement does not make it clear if these vulnerabilities have been addressed in older versions of iOS and Mac, but for Macs, there were security updates for older versions of macOS released alongside macOS 10.13.2, so it's possible fixes are already available for Sierra and El Capitan. News of the Spectre and Meltdown vulnerabilities first came to light this week, but Intel and major operating system vendors like Apple, Linux, and Microsoft have known about the issue for several months and worked to prepare a fix before the security flaws were publicly shared. Spectre and Meltdown are serious vulnerabilities that take advantage of the speculative execution mechanism of a CPU. As these use hardware-based flaws, operating system manufacturers are required to implement software workarounds. These software workarounds can impact processor performance, but Intel has insisted most users will not see serious slowdowns. Apple also says that no measurable impact has been detected in macOS and iOS. The Meltdown vulnerability allows a malicious program to read kernel memory, accessing data like passwords, emails, documents, photos, and more. Meltdown can be exploited to read the entire physical memory of a target machine. The vulnerability is particularly problematic for cloud-based services. As with the Meltdown vulnerability, Apple says the upcoming Safari mitigations will have "no measurable impact" on Speedometer and ARES-6 tests, and an impact of less than 2.5% on the JetStream benchmark. Apple says it will continue to test further mitigations for Spectre and will release them in future versions of iOS, macOS, tvOS, and watchOS. Update: Apple has updated its Meltdown and Spectre support document to clarify that the Apple Watch is not affected by either vulnerability. Previously, Apple had only confirmed that the Apple Watch was unaffected by Meltdown. 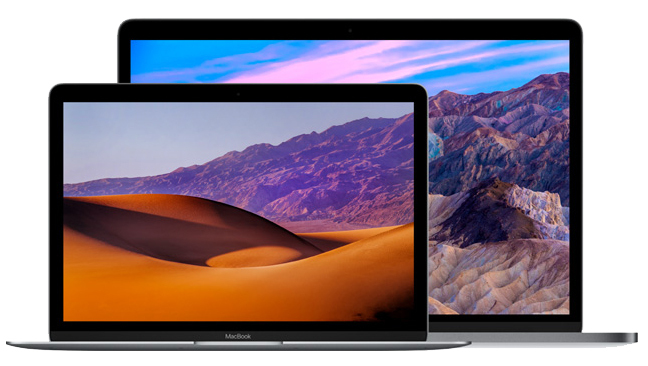 Update 2: Apple has confirmed that fixes have also been released for macOS Sierra and OS X El Capitan in an updated security support document. Update 3: The support document that confirmed the fixes for Sierra and El Capitan has been updated again to remove references to these two operating systems, so it remains unclear whether or not Meltdown fixes have been released for these two older operating systems. The question looming here is, will those MacOS patches be backported to Sierra down to Mavericks, or even if supported, Mountain Lion? We already know that previous versions of iOS and tvOS are not going to have this patch, so they're stuck.. but what of MacOS? That was quick. And yet there were still many crying "Why won't Apple be more open and talk about this!!!!" Spectre affects all modern processors, including those designed by Intel, AMD and ARM, but Meltdown is currently thought only to affect Intel ('https://www.theguardian.com/technology/intel') chips manufactured since 1995, with the exception of the Itanium and Atom chips made before 2013. Guess I'm busting back out my 486SX20 (without the math coprocessor), and dropping back to 32bit Linux and Windows 3.1. Daniel Gruss, a information security researcher and post-doctoral fellow at Austria's Graz Technical University was the one that discovered Meltdown last year. Though now Google claims they too discovered it after that time. Seems like one of those, "Oh... uh.... yeah... we totally already knew about that but just didn't say anything. We're totally in the know. ", on Google's part. Most likely the fixes will be back ported to Sierra and El Capitan alongside 10.13.3. It's not official policy, but Apple only releases security updates for the latest, and previous two OS's. Anything behind El Capitan is EOL by most software security scanners. Where are the Apple cheerleaders who were chastising Intel for this hardware flaw? It's pretty clear Apple processors are affected as well. Where's chastising now for Apple? I thought meltdown only affects Intel processors. Why would iOS have to patch for this? My thoughts exactly, I thought that spectre was demonstrated on ARM. All these companies and journalists are contradicting themselves. I imagine there is still a lot of ongoing work and not everything has been made public and clearly not enough coordination amongst the researchers and companies. Seems like everyone is scrambling to get in front of the press. Apple doesn't make its own processors. It hasn't for a while. They migrated all of that over to Intel, which is where the primary source of the problem is. If we're talking companies now, nearly all Cloud services are impacted as well. Amazon S2, AWS, Google, Azure, etc. This is bigger than just one company. apple designs plenty of their own processors for manufacturing for companies such as samsung and TSMC to make. Oh yeah. I think that goes without saying. Most of the public is not aware but far more severe vulnerabilities than this get patched every time there's a security update for macOS / Windows / iOS / Linux / Whatever. They just don't get as much publicity. That lack of publicity is a good thing, as misunderstanding the nature of zero-day vulnerabilities could lead to panic. Edit: This is why my signature includes "Just update your software. Seriously" The average person has no idea how many vulnerabilities are closed just from updating your software.